Our topic this term launches with our science work. We will start by identifying and sorting seeds and bulbs and exploring the plants that will grow from these. We will carry out a fair test to find out what plants need in order to grow and stay healthy. We’ll be out and about enjoying the signs of spring around our school and investigating why plants start to grow in spring. We are going to find out about the artist Andy Warhol. We’ll explore his work and discover what makes it pop art. We’ll experiment with his techniques of repeated imagery and bold colour combinations. In geography, we are going to use maps and atlases to identify the United Kingdom and its countries. We will find out about the world’s seven continents, countries and five oceans. As part of this, we will find out about a country we are not familiar with and use this knowledge to write postcards. In SEAL, we will find out about safety in our environment including safe use of the internet. We will also learn about water safety and road safety. Each daily Numeracy lesson will start with our Daily count and Learn-its. The children are enjoying doing the times tables tests, which we will do every Friday morning. 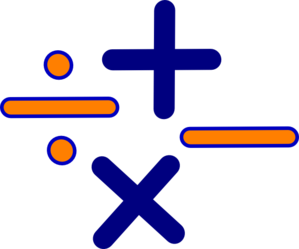 The year 2 test is a 5 minute test of the 10, 5 and 2 times tables including multiplying and dividing and missing number sentences such as 35 ÷ __ = 7. I am sure that the children will let you know what they score and how they progress. To support this progress please practice times tables with your child. Quick recall is really important. In maths, we are adding and subtracting money, making amounts of money in coins and then we will move on to measuring. In English, we are looking forward to exploring traditional tales, writing instructions and we will also write a piece of writing aimed at persuading the reader. We will continue to practice our handwriting so that we all meet the age related expectation. You can see the success criteria for this below. Reading is very important to us at King Edward Primary school. We read a class book at the end of every day. We are enjoying books from the Educational Library Service. These are always linked to our topic and English work. We enjoy using our reading corner in our classroom. We use Inference Skills to help us to become better readers. Please do write a brief comment and date in your child’s Reading record. Reading miles gained from reading aloud at home really support your child’s progress in reading as a year 2 child is expected to read 90 words a minute. Only practice can help achieve this and the more the better! Also, if your child is on reading word lists, please practice reading these words regularly. There is a real emphasis on reading this year. One of the best ways to get better at reading is to practice, practice, practice. For this reason, please read at least four times a week at home. Please write in your child's reading diary if they read with you at home, or they can write in their diary with an adult's signature. This term we are concentrating on comprehension so please talk about the book or pages they have read. Children will read with a teacher once a week in guided reading. Everytime your child reads with an adult at home, please fill in the Reading Reward booklet so that your child can be rewarded for their hard work. Well done to those children who already chosen a lovely book which they can keep. WE have a daily Phonics session at school. This helps us with our reading and writing. Please do help your child learn their weekly spellings. This should help to improve spelling within our written work. The children have PE on Tuesday afternoons and Thursday afternoons so please ensure they have their kits for this session. 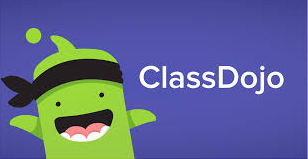 Each class in the school is using Class Dojo. This is a fantastic, free resource to use to communicate with your teacher and see your child's rewards for their efforts. If you can, download the free app for your phone. You will see when your child gets a merit (and what it is for), you will see information put on the class story feed (such as reminders or positive messages!) and you will also be able to contact your teacher directly and they can contact you. This is perfect if you were unable to pass on a message at drop off etc. Please sign up if you haven't yet and download the app. It's great! Homework is handed out on a Friday due for handing in on the following Wednesday. Please continue to read with your child three times a week. It really does make a lot of difference! If you would like any further information or there is something which you would like to discuss please don't hesitate to come and see us.